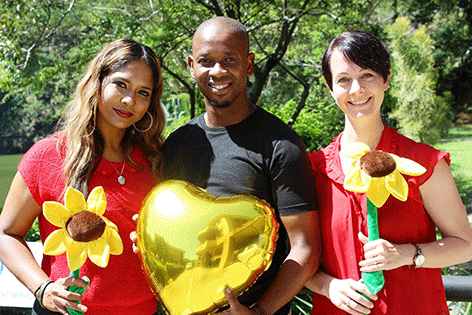 Love is in the air and the Sunflower Fund is encouraging the public to help spread the love this Valentine’s month through their SMS donation campaign which runs from the 1 to 28 February. Interested supporters can SMS ‘LOVEZN’ to 40555. SMS’s cost R30. Donations will go towards giving hope to patients, stricken with life-threatening blood diseases and who are in need of a blood stem cell transplant from a matching unrelated donor. Campaign participants can win a ‘couple’s studio’ or location photo-shoot. cell donor, visit www.sunflowerfund.org or call toll free 0800 12 10 82.